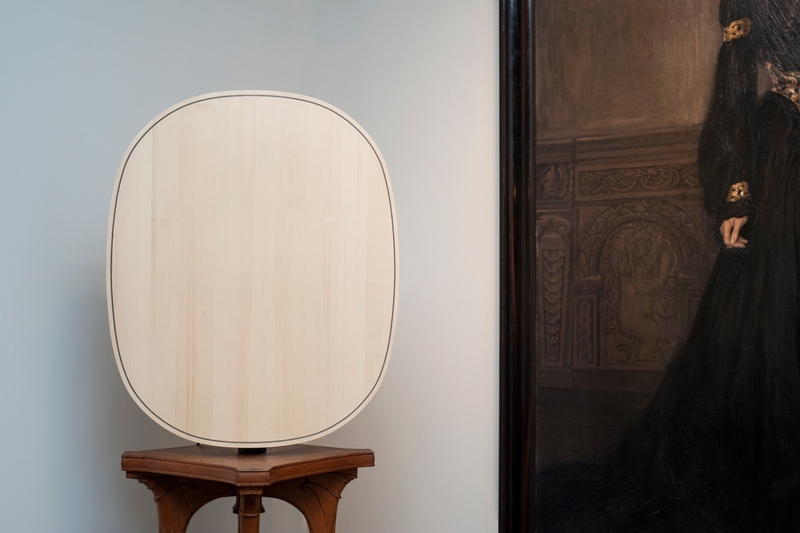 EN While playing with the codes of musical instruments, the designer questions the home audio speaker archetype and invents new sound objects. Surfaces Sonores play sound without speaker thanks to a buzzer attached to the back of the object. Made of maple plywood, they are shaped in a press mold. The curve obtained gives them both stability, rigidity and lightness for optimum sound quality. Depending on their size, the surfaces allow the amplification of high frequencies, midrange or bass. Each surface plays the partition of a different instrument, reproducing the listening conditions of an acoustic set (string quartet, for example). EN The exhibition presents experiments and prototypes in the form of a sound and music trip in the museum, designed with violist Marta Páramo. 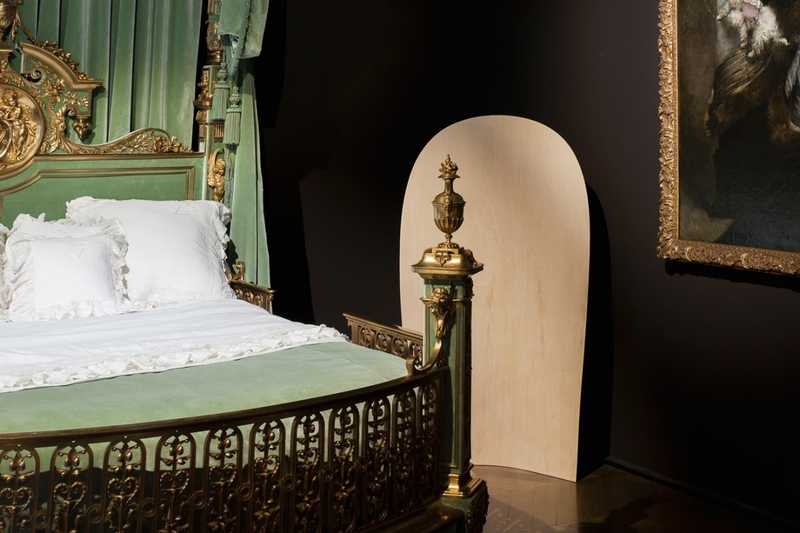 The objects are staged in “period rooms” within the collection and play music, offering a dialogue with the historical pieces. FR L’exposition présente expérimentations et prototypes sous la forme d’un parcours sonore et musical dans le musée, conçue avec l'altiste Marta Páramo. 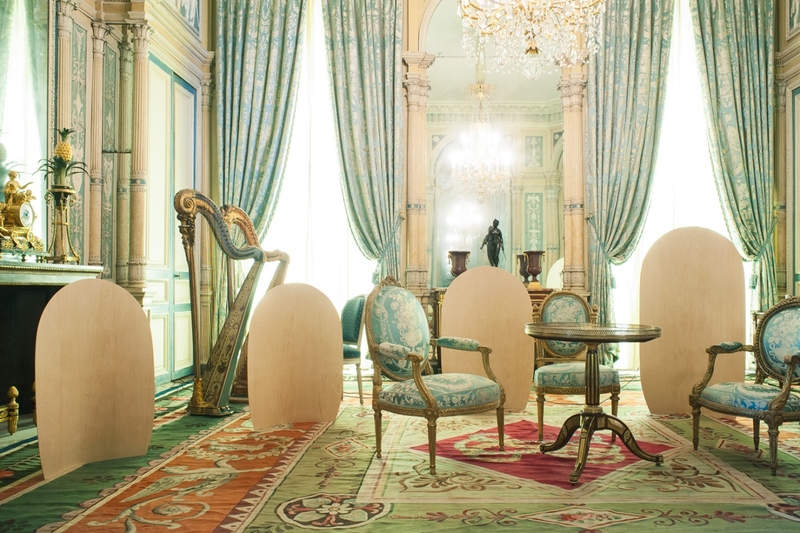 Les objets sont mis en scène dans les «period rooms» au sein de la collection et diffusent de la musique, proposant ainsi un dialogue avec les pièces historiques.